A new milestone in the evolution of weaponry has been reached with the invention of self-steering, self-guided bullets. Watch this incredible, freaky and scary video of a bullet tracking and then hitting a moving target. The bullet, fired from a .50 calibre gun, actually changes direction mid flight to hit the target. 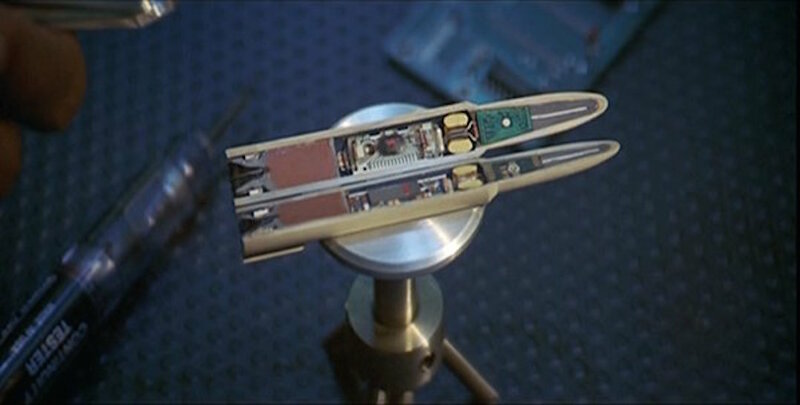 The video was released by America’s Defense Advanced Research Projects Agency (DARPA) – the self-guiding bullet is part of their Extreme Accuracy Tasked Ordnance (EXACTO) program. Below is an image of the inside of the smart bullet.